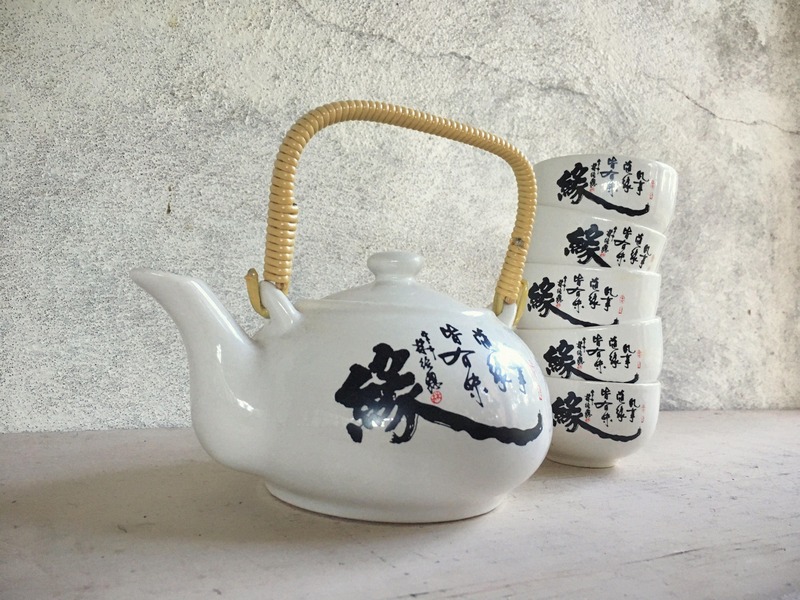 This teapot and five handle-free cup set is simple yet elegant, vintage and modern. 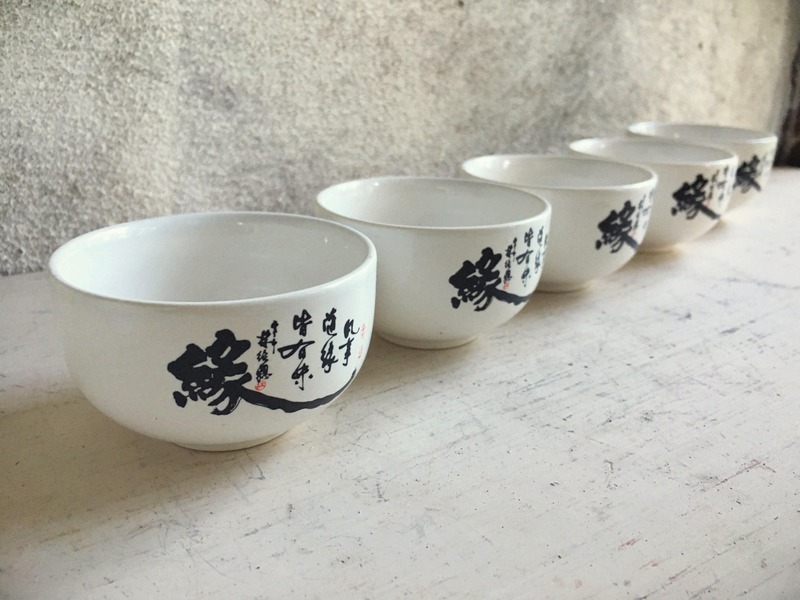 Embossed on the bottom with the words TAIPEI SHEH-DA, the piece was actually made in Taiwan with a distinctly Japanese style. 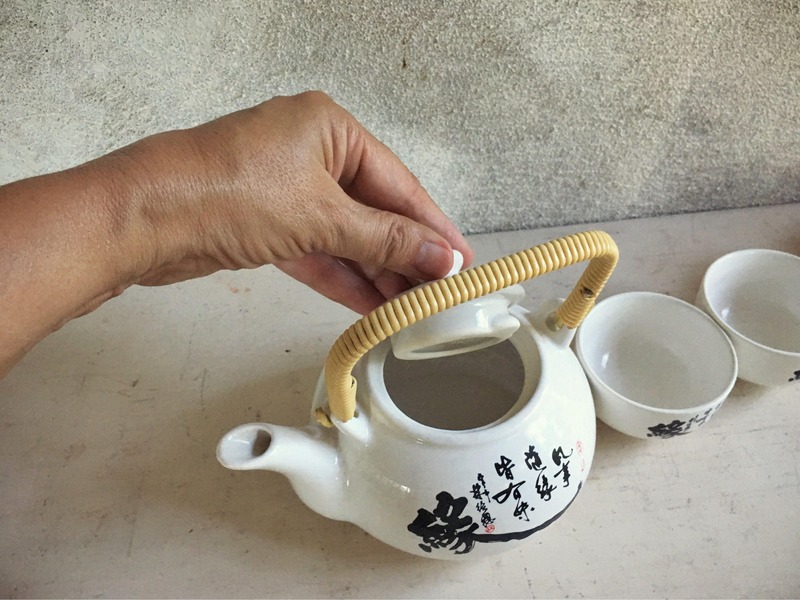 The teapot handle is wrapped in roped plastic, made to last longer than the more traditional bamboo. 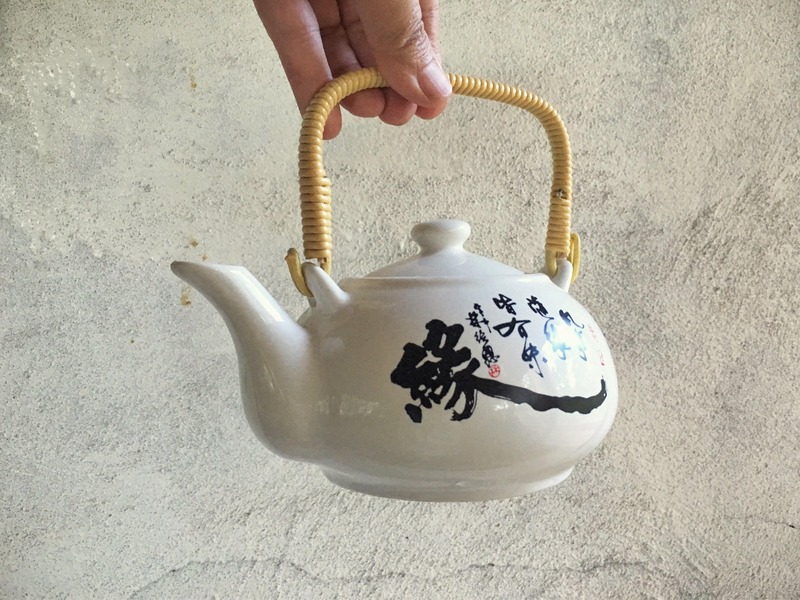 It is a small pot and would be perfect for serving tea or saki! Pot is 4" tall from bottom to lid top, and 6-1/2" across from spout to opposite side, and about 5-1/2" round at the widest point. 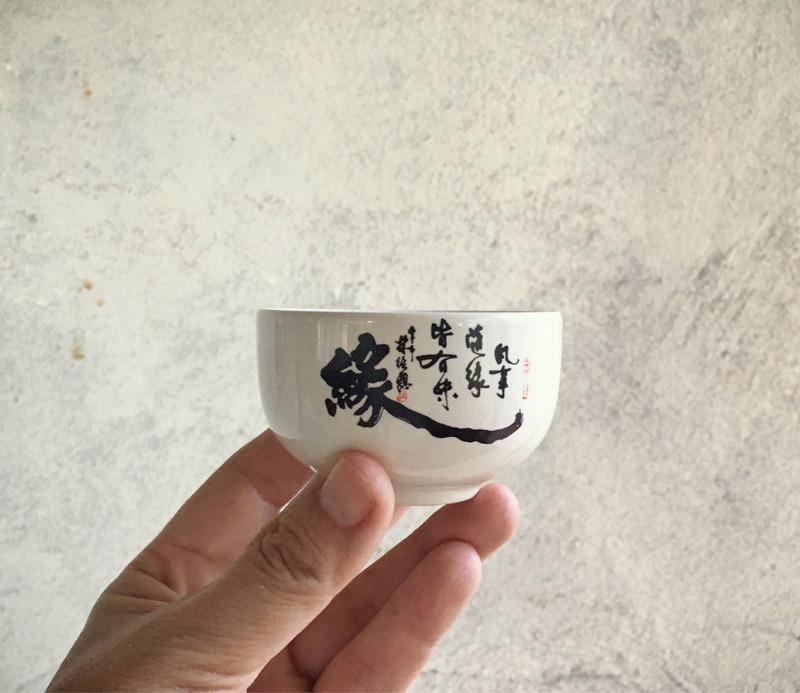 The cups are each 1-3/4" tall by 2-3/4" in diameter. 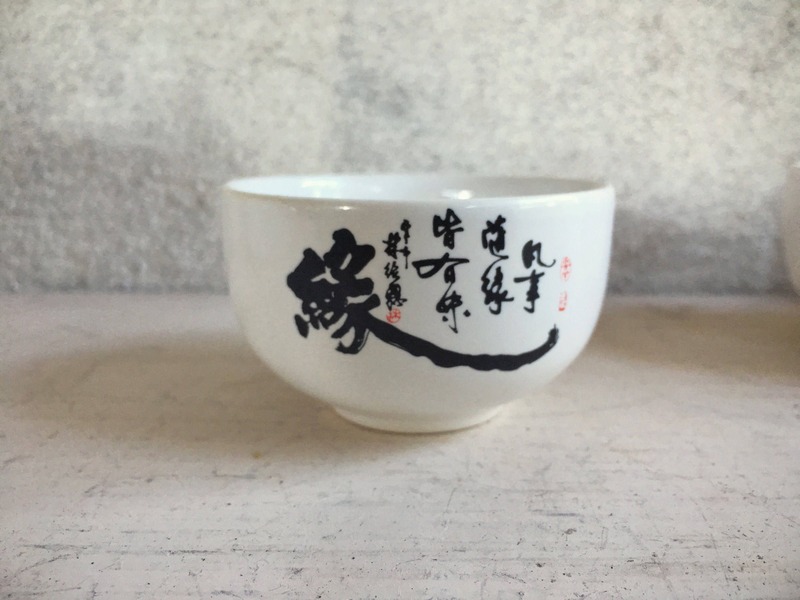 Black transferware writing is on one side only. 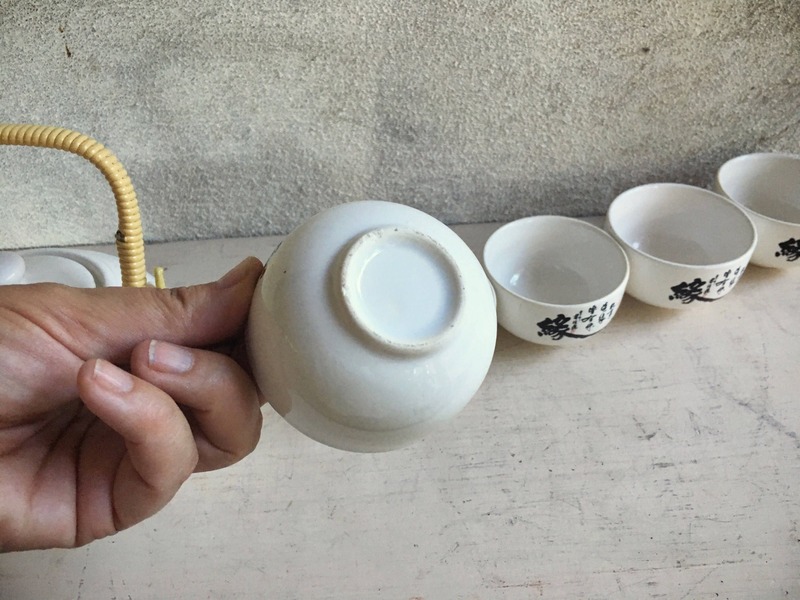 The teapot lid has a little pre-firing bubble that looks like a fleabite but is actually a pinhole. 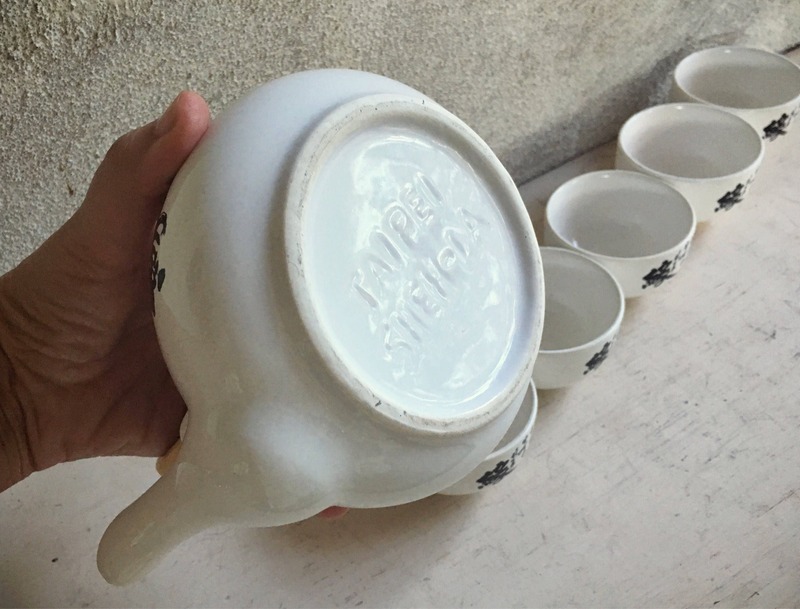 Rim base of cups and teapot have some fleabites yet top rims--the one that touches your lips--all in good condition. 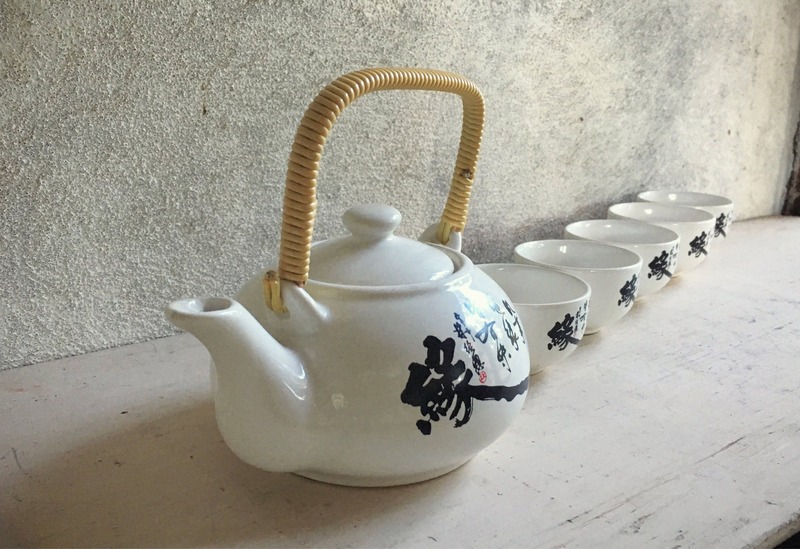 Fabulous vintage tea set for display, or to start your morning, or to enjoy with friends.